A view from atop the illegally built trail near the Log Chutes trail system. A map of the illegally cut trail through BLM land. An illegally cut trail through a historic cultural site will be reclaimed as federal agents continue to look for the people responsible. The Bureau of Land Management first received a report of an illegally built trail in August 2014 on a piece of land the agency manages sandwiched between County Road 205 and the San Juan National Forest’s Log Chutes trail system. The trail cuts through the Turtle Lake Bouldering Garden, a popular spot for climbers, located across from Chapman Lake. Investigators tried to find the culprits, to no avail, and it seemed that construction on the trail stopped. But last fall, the illegal trail cutters went back to work, finishing up the segment that connected County Road 205 to the Log Chutes trails, which offers miles of old logging roads typically used by mountain bikers. “We thought they had stopped, but they just went from a different angle, from the top down, instead of from the bottom up,” said Tyler Fouss, a BLM enforcement ranger. Nearby, investigators found heavy-duty trail building tools – such as rock bars, pickaxes, shovels and saws – stashed in the bushes adjacent to the trial. The tools were taken as evidence. People are allowed to walk freely over public lands, and even people using the unlawfully built route are not doing anything wrong. 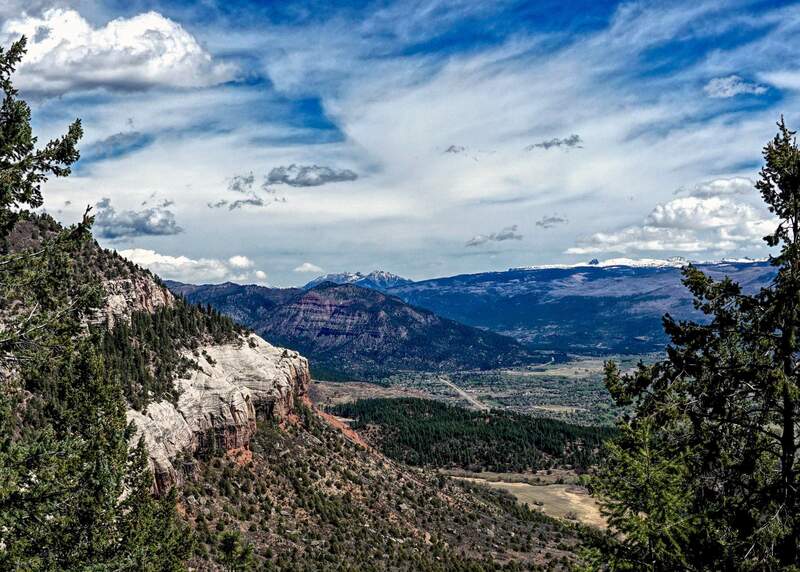 A freelance piece in The Durango Herald on May 11 promoted use of this rogue path to access the trails located above. It is, however, illegal to construct a new trail without going through the proper channels, and penalties could easily escalate to federal offenses. In this case, Jeff Christenson, the BLM’s outdoor recreation planner, said the trail was cut through a historic cultural site. The BLM declined to go into detail about the site to protect it. Unapproved trails can result in damage to endangered wildlife, such as bird nests or rare plants. And when a trail’s location is not properly considered, it can disrupt wildlife migration corridors. Also, if not constructed properly, illegal trails can contribute to erosion, which can lead to a host of issues for people downhill and downstream of the location. All of these impacts were checked-off for the trail across the Turtle Lake Bouldering Garden. 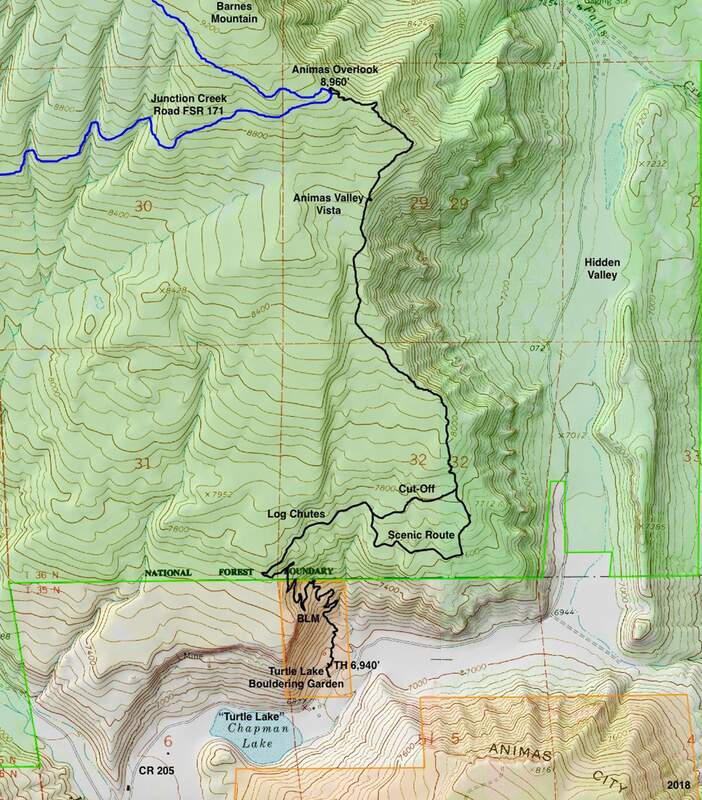 As a result, within the next year or so, the BLM intends to destroy and set right the 1½-mile trail. Shannon Borders, BLM spokeswoman, said this action actually takes away from the agency’s ability to build new trails. “If folks put in trails we have to mitigate, it detracts from us putting in new trails,” she said. The BLM has a process for getting new trails into the system. True, it takes some time, Borders said, but that’s because it takes into account all the factors that go into managing the landscape. The reality is it’s hard to catch people who take it upon themselves to build illegal trails on public lands, Fouss said. It usually requires the help of someone spotting the trail-cutting while it is happening. Anyone with knowledge about who cut through the Turtle Lake Bouldering Garden is encouraged to contact the BLM.